The influence of Ibn 'Arabi, the 12th century Andalusian mystic philosopher extended beyond the Muslim world from Spain, to China, to Indonesia. Interest in Ibn 'Arabi in the west has grown over the last century. 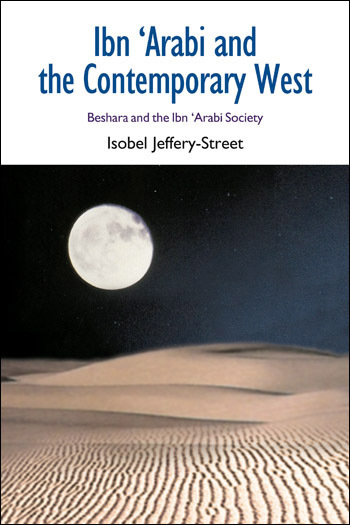 Ibn 'Arabi and the Contemporary West examines 'Arabi’s teachings through the work of the Beshara Trust and the Muhyiddin Ibn 'Arabi Society. The study investigates how the Beshara School has used Ibn 'Arabi’s teachings in assisting a range of students from around the world towards personal, spiritual development and how the Muhyiddin Ibn 'Arabi Society has evolved into an international organisation with increasing influence in both the West and the Muslim world. Ibn Arabi and the Contemporary West tells several remarkable and intertwined stories. In the context of Islamic Studies, it recounts the recent transmission of universal spiritual teachings that were once central to the spread of Islam as a world religion and civilization, but then were lost and often rejected in the aftermath of colonialism, to the UK and the wider English-speaking world; and it concludes with the unexpected ways that spiritual heritage is now being rediscovered by new generations across the Muslim world. In that new, global setting, this study also sketches the background of the multi-faceted, increasingly global adaptation of Ibn 'Arabi’s teachings—which for centuries had helped integrate and inspire the burgeoning creative expressions of the Islamic humanities and spirituality across Asia and Africa—by contemporary artists and thinkers working in many of those same fields today: including philosophy, ecology, architecture, psychology, spirituality, and religious thought. And on a more human, immediate level, this is the story of the lasting inspiration and personal influences of a single quiet spiritual teacher and those he inspired, detailing the formation, teachings, and expanding development and outreach of the Beshara movement. The historical chapters draw on interviews with participants as well as on written sources, and the anthropological chapters draw on participant observation at the Beshara centre in Scotland and on a Beshara trip to Turkey, as well as on interviews with participants, sometimes quoted at length. All these chapters are well researched and well written, and provide a wealth of fascinating information. The book is thus strongly recommended to all who are interested in Western Sufism or in Christian–Muslim relations. Recommended to readers who want to get acquainted with the Beshara School's ideology and history.